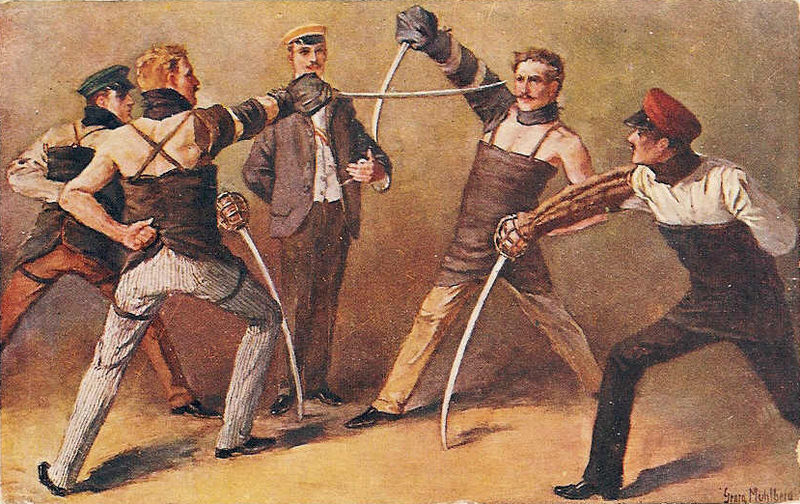 By the end of the 19th century dueling had died out across much of Europe. It was seen as a primitive throwback to a bygone era when a man’s honor was considered as important as his life. The march of progress and the rule of law sent dueling into an irreversible decline. For instance, dueling in Germany had virtually ceased to exist as the German Empire industrialized. The same could not be said for that another empire in Central and Eastern Europe, Austria-Hungary. If anything, dueling was still fashionable in the Dual Monarchy, including in its most developed regions. One journalist estimated that in 19th century Austria no less than 2,500 duels were fought. This figure did not account for other provinces in the empire such as Hungary and Galicia where dueling was much more prevalent. It was in these areas that the aristocracy still dominated. Dueling by and large was an upper class phenomenon. This was especially true for the military where dueling among officers was all but legal. Disagreements could be settled by two distinct methods of dueling, those involving pistols or swords. Officers who refused to fight a duel were socially shamed and could lose their commission. While dueling with swords sounds more primitive and painful, it was less lethal than the use of pistols. Sword duels often were proscribed by rules agreed upon ahead of time. They took on one of two forms, slashes only or both slashes and thrusts. Fights could be stopped after first blood was drawn. On occasion though, they were allowed to continue until either both participants were exhausted or someone was killed. Dueling with pistols was much more dangerous. The most deadly format involved the participants walking toward one another, stopping 15 paces apart and opening fire. Pistol duels were a regular occurrence in Austria-Hungary. Up until the turn of the 20th century civilian courts in Austria ignored laws that made dueling an offense punishable with imprisonment. In cases where an Army officer killed a civilian in a duel, Emperor Franz Josef dutifully issued a pardon. Beginning in 1901 anti-dueling leagues began to crop up in the Dual Monarchy in an attempt to put an end to the practice. 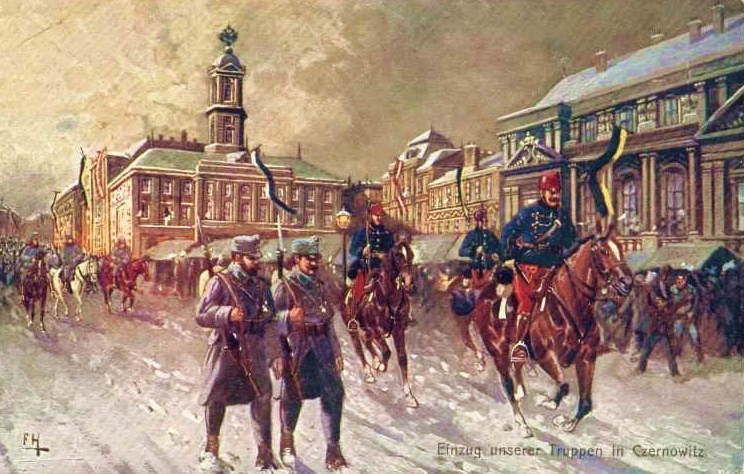 These swayed public opinion against dueling, but in Austria-Hungary the upper classes and the officer corps of the military lived by its own rules. Foremost was the idea of Ehrenkalex, a German phrase meaning “code of honor.” If someone took offense at even the most trivial of slights they could demand satisfaction. Offenses ranged from the seemingly innocuous, such as giving someone an arrogant look, to the bizarre, staring at a man while playing with a dog whip, to the serious, committing adultery. Franz Josef who seems to have been perpetually behind the times when it came to modernity, decreed in 1911 that officers no longer had to give or accept challenges when an offense was committed. He also forbade duels except in the case of serious offenses. This still did not stop the practice. That would not occur until the latter part of World War I, when Emperor Karl I banned dueling outright in 1917. The fact that duels continued right up to the end of the Austro-Hungarian Empire speaks of how much the idea of honor was valued among the upper crust of society and the army. It that ingrained belief in Ehrenkalex, which exercised great influence among the officer classes who both led and bled at the front during those first six catastrophic months of World War I when the Dual Monarchy lost officers at an unheard of rate. A linkage can conceivably be made between dueling – a primeval code of chivalrous behavior – and the suicidal frontal assaults led by officers into a hail of machine gun or artillery fire. Both threatened violence to the point of death, taking part in them was a question of honor. Officers should have known better, but they were both part of parcel of a military ethos. There was worse, much worse to come for the Austro-Hungarian officer corps. In the coming weeks and months, they proved their bravery to the point of madness while facing Russian forces in the battle of Galicia. In engagement after engagement officers emulated Holzhausen as they led from the front, setting a deadly example for their soldiers. Their attitude could be summed up as death before dishonor and death is certainly what they got. The fearlessness that it must have taken to lead charges into machine gun fire without regard for one’s safety had to be motivated by a belief that went beyond tactics. To dig in, to take cover, to avoid combat until absolutely necessary was anathema. In a sense the officers were taking the idea of dueling to the most extreme degree. The Empire was at war with a hated enemy they had given offense by its mere presence in Galicia. Satisfaction must be gained no matter the odds or the cost. This was despite the fact that their Russian opponents smartly refused to participate in these reckless charges. 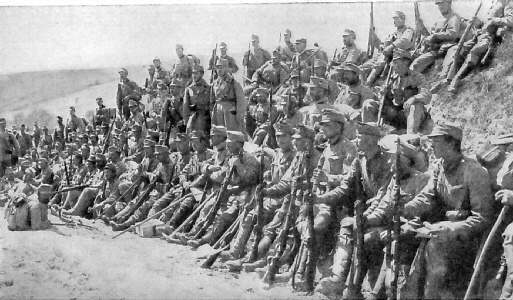 It is a commonly held perception that the Russian officers of World War I were terrible leaders (they were), but when compared to the officer corps of Austria-Hungary during the Battle of Galicia, they look totally sensible and not so bad after all. The idea of honor was also pervasive in the Russia, but their officers refused to lead from the front. The Austro-Hungarian officer’s belief in a code of honor had fatal consequences on both an individual and empire wide level. Thousands upon thousands of officers were struck down leading foolish, sacrificial assaults. The soldiers they led followed their example to catastrophic effect. This dealt a blow to the empire that it could not afford. Honor died in the summer and fall of 1914 all over Galicia and Russian Poland in those first six months on the Eastern Front. Strangely enough, dueling did not. Even after the empire collapsed, dueling lived on in the nations of Austria, Hungary and Poland. It would only die out when the aristocratic way of life came to end due to a second and even worse World War.